Twenty-five years since The Sandman first changed the landscape of modern comics, Neil Gaiman’s legendary series is back in a deluxe edition! Neil Gaiman and J.H. Williams have both signed this special edition on an exclusive oversized bookplate, featuring art by Williams! Limited to 300 signed and numbered copies, this extraordinary CBLDF exclusive is the ultimate holiday gift for any comics fan, and it is available now for a $40 donation to CBLDF! 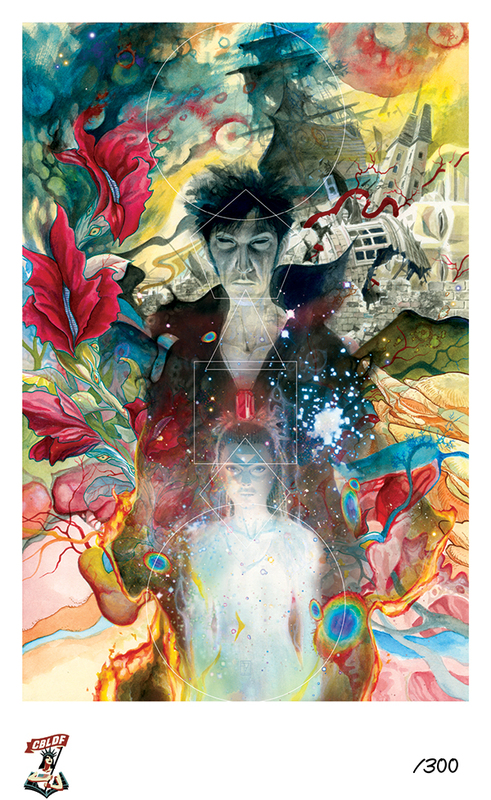 The Sandman: Overture heralds New York Times best-selling writer Neil Gaiman’s return to the art form that made him famous, ably abetted by artistic luminary J.H. Williams III (Batwoman, Promethea), whose lush, widescreen images provide an epic scope to the Sandman’s origin story. From the birth of a galaxy to the moment that Morpheus is captured, The Sandman: Overture will feature cameo appearances by fan-favorite characters such as the Corinthian, Merv Pumpkinhead and, of course, the Dream King’s siblings: Death, Desire, Despair, Delirium, Destruction and Destiny. Orders will be filled from the lowest numbers up on a first-come, first-served basis. This book will be released on November 10. Copies ordered before that date will be shipped between November 10 and November 12.